A FIRE has ripped through a home at The Gums this morning. Emergency services were called to Humbug Rd, at 5.30am. 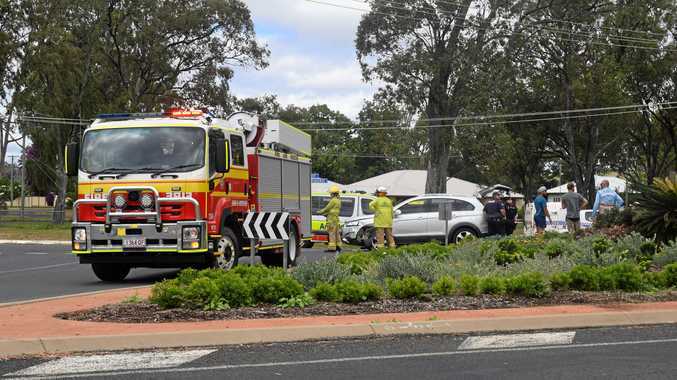 A Queensland Fire and Emergency Service spokeswoman said five crews were called to the scene. "When crews arrived the house was well alight and all persons were out of the house," she said. Two caravans were also damaged in the fire. Crews are still on the scene maintaining the safety of the area. Queensland Ambulance staff are standing by but have not reported any treatment needed.